Trains across New York City are set to start running faster, with some already going faster than they have in years. NYC Transit is making amendments to the city's train speed limits after reviewing the rules and finding that, for decades, trains have been traveling slower than they needed to. In 1995, a crash on the Williamsburg Bridge led to an increase safety restrictions, with certain rules put into place that are now obsolete due to modern trains having automatic brakes. Couple that with the fact some of the signals in the tunnels don't work and tell trains to slow down for no reason, and you'll see how the trains got to running slower than they should be. With the new changes, some trains should be running at twice the speed, NYC Transit vice president of subways Sally Librera said. “In some cases they’re going from 15 [mph] to 30 [mph]. 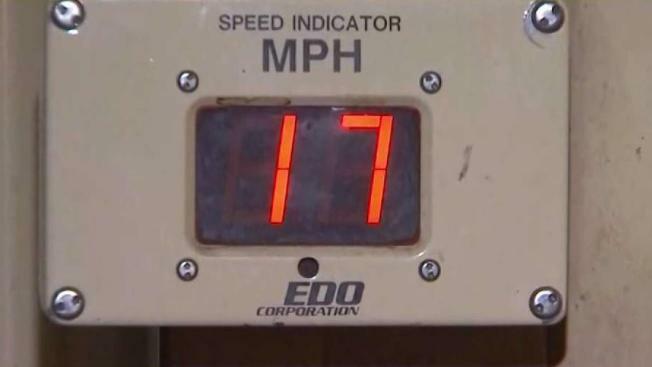 Others from 15 [mph] to 20 [mph]." Transit president Andy Byford said the plan was a way to improve service on the MTA now before Albany decides whether to fun a $40 billion modernization. "The operators can go much more quickly. It’s about safely saving seconds," he said. The MTA says the first trains with faster signals are in Sunset Park and Bay Ridge, Brooklyn. The rest of the city will get faster trains in the coming weeks. Here is the list of 34 places where the MTA says trains will now run faster. A speed preceded by a "D-" means it's through a switch. MAS stands for maximum attainable speed, which depends upon numerous factors including track grade (incline) and curve, but practically speaking, tops off in the 30s, according to the MTA. Seconds saved is an estimated number for each single train movement, barring any other circumstance.